Two craft shows coming up – now with extra #vintage! I have two shows coming up, one is this weekend! If you’re in the greater Boston area you’re in for a treat. 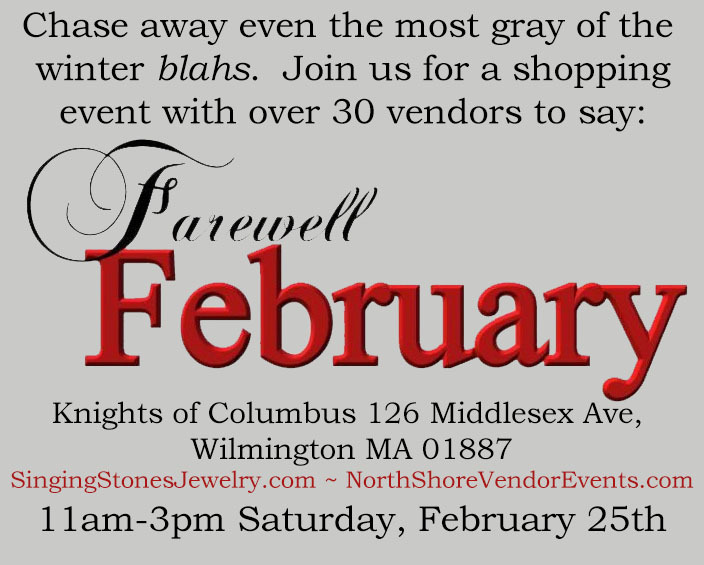 I’m vending as a part of North Shore Vendor Events tomorrow and in March. These shows feature people with handmade items, like me, and also people that own and run small business. That means I’ll be featuring a LOT of “new” vintage items I’ve been collecting, fixing, and curating over the past few months. As I’ll be in the burbs, there’s free parking available. As it is also unseasonably warm and it’s supposed to be sunny and lovely tomorrow please come on out and enjoy the day with us! Next we have March Madness (no, not that kind). This event was actually supposed to be earlier this month. You may have seen the blog post about it here. Alas, the snow trampled all over it. However, we’ve rescheduled and we are still having the benefit, we’re just going to be a little later than originally planned. 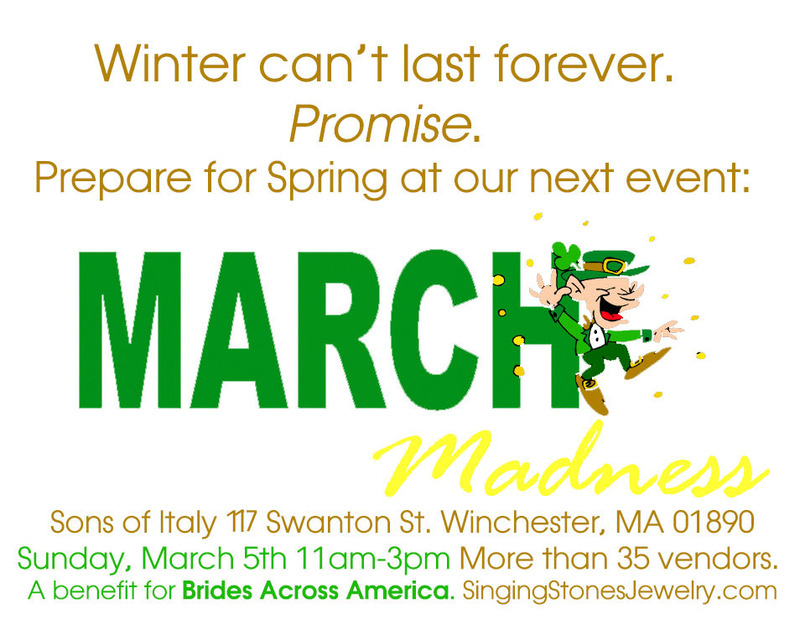 Our March Madness event is also as benefit for Brides Across America. Come, shop, enter the raffle, and do some good while you enjoy yourself.